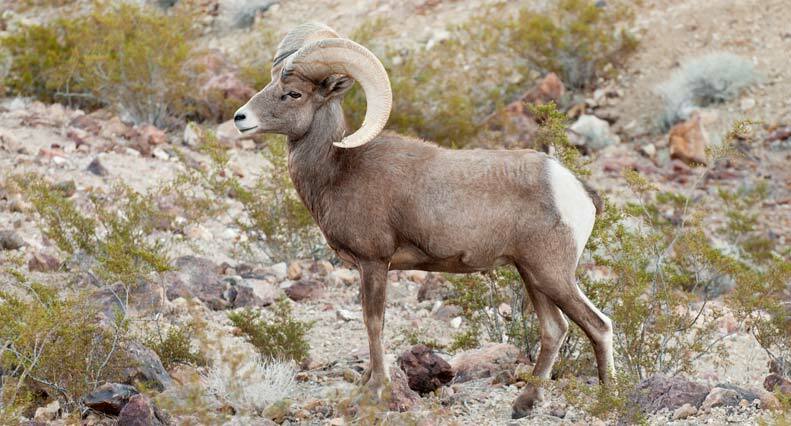 How much do the horns of a big horn sheep weigh? How did wild sheep from Corsica end up in North America? Are wolves really just wild dogs? As the world’s largest wild dog species, the gray wolf is a canine native to the wilderness and remote areas of Eurasia and North America. 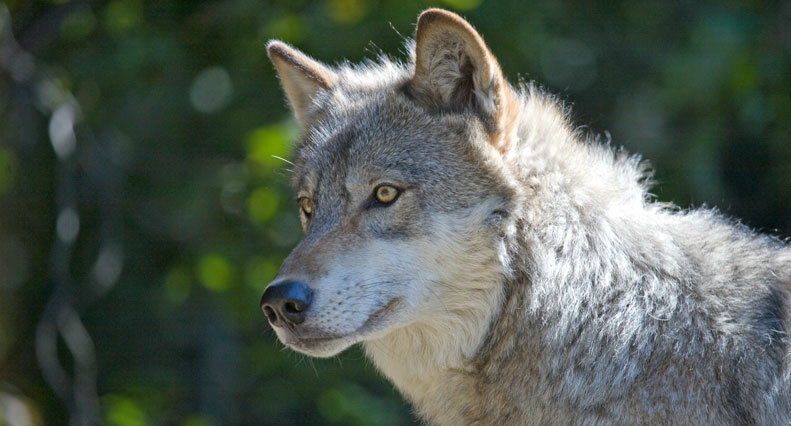 Also known as the timber wolf or western wolf, it looks similar to a German shepherd or sled dog, but with longer legs, larger paws and a narrow chest. Its thick coat has two layers — an outer one of coarse hair and a soft undercoat that protects it against the cold. Gray wolves typically live in packs led by a dominant alpha male and female pair, their cubs, and offspring from previous years. 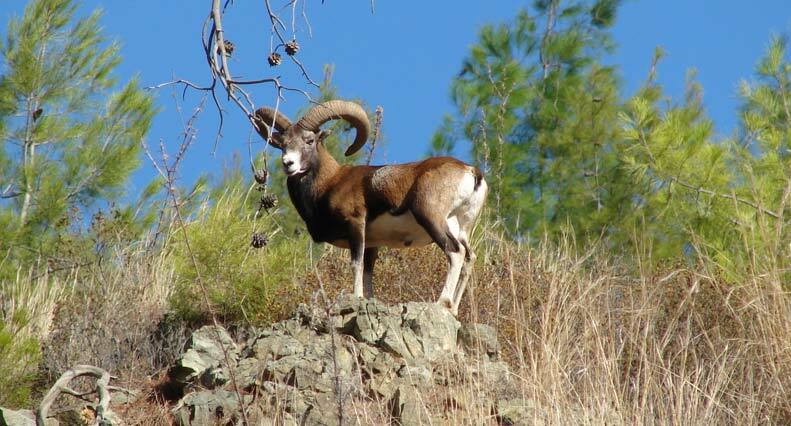 The mouflon sheep is a subspecies of wild sheep that was introduced to the islands of Corsica, Sardinia, Rhodes, and Cyprus during the neolithic period. Reddish to dark brown in colour, they have short-haired coats with dark back stripes and light-colored saddle patches. The horns of mature male rams curve in almost a full revolution, up to 85 centimeters long. The mouflon were introduced to Spieden Island in North America’s San Juan Archipelago when it was operating as an environmental education camp. The fallow deer is a member of the Cervidae family. Originally from Eurasia, it was brought over to other parts of the world, including the San Juan islands in North America. 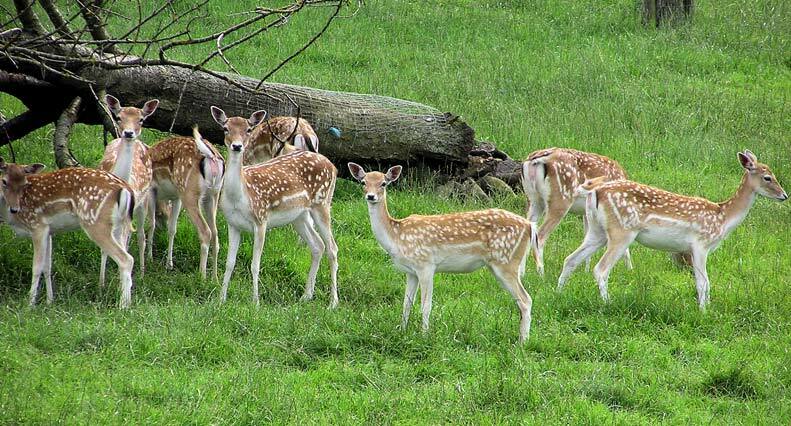 Male fallow deer are called bucks, females are called does, and young are called fawn. Bucks have antlers, which are wide and shaped like a shovel. All fallow deer have white spots on their backs and black tips at the ends of their tails. The typically live twelve to sixteen years. Bighorn sheep are very much Canadian, in fact their latin name Ovis canadensis means “sheep belonging to Canada.” Named for their large horns which can weigh up to thirty pounds alone, they are generally found in the Canadian Rockies between British Columbia and Alberta, Canada, but are also known to range from Alaska to Mexico. Males, or “rams” have long spiral horns, while female ewes have shorter, spike-like horns.